Our alumns are going places!---to MathILy and Mathcamp in subsequent summers, and to Haverford, the University of Chicago, Williams, MIT, Carnegie Mellon University, Hamilton, UC Berkeley, and UCLA for college. Karol M.: I can't even begin to express how important MathILy-Er was for me. I built so many wonderful relationships with people, and I had so much fun! Throughout the school year, it is easy to drown in schoolwork, so this was an amazing break where I could actually interact with a lot of nice and funny people. Along with that, I learned so many cool ideas which I will probably remember for a long time. Last but not least, this style of learning was so amazing! I have never been in class where it was so student led and people got to build off each other's ideas and go up to the board so much. Shardul C.: Along with the mathematics itself, I learned a lot about how mathematics actually works (if asked to compress that understanding I would put it as "free yet focused foraging coupled with continuous collaboration"). Stacy Godfreey-Igwe: These 5 weeks have given me some of the best moments of my life. It's surreal. I learned so more math that I ever imagined, took long walks in the morning and explored the city, made some awesome shots in ping pong, played the best game ever... and was able to create memories that will last me a lifetime. Milleno Pan: I came here expecting math that would be much less interesting, and instead got problems and solutions that were quite surprising to me. Before coming... I think I had a much lower interest in studying math in the future, where it was, to me, just something I was kinda good at compared to the small group of people around me, and something I didn't completely hate... I am very sure that I will be continuing math in college. Julia T.: There's something wondrously beautiful about being in a room full of people who do mathematics purely for indulgence, and I will never forget the joy and love and laughter that I felt in our classrooms. Nathan: I've been able to experience mathematics I had never heard of while immersed in a mathematical community, the likes of which I could never encounter at home. I've learned much not just about different fields of mathematics, but the nature of learning and expressing mathematics itself. Before this program, my work was incomprehensible and full of technical symbols. I had difficulty explaining math to my friends, or helping them understand why I found joy in exploring it. Now, I feel more whole in these respects. I've really learned how to treat mathematics as a study, not simply as a set of numbers and definitions. KaiYuan Chi: It feels very satisfying when we were the ones to create the rules instead of having someone telling us directly, and I believe that is the most important academic skill I gained in the past month. Alice Wei: Overall, the relationships I've created in this program with people who appreciate math like I do helped expand my interest in math! Being surrounded by friends everyday made classes and activities an enjoyable environment. Pirooz Fereydouni: MathILy-Er teachers use a quite different and more affective teaching strategy than other schools. After a brief introduction to what we are doing, the teachers stand aside and the students do all the work. 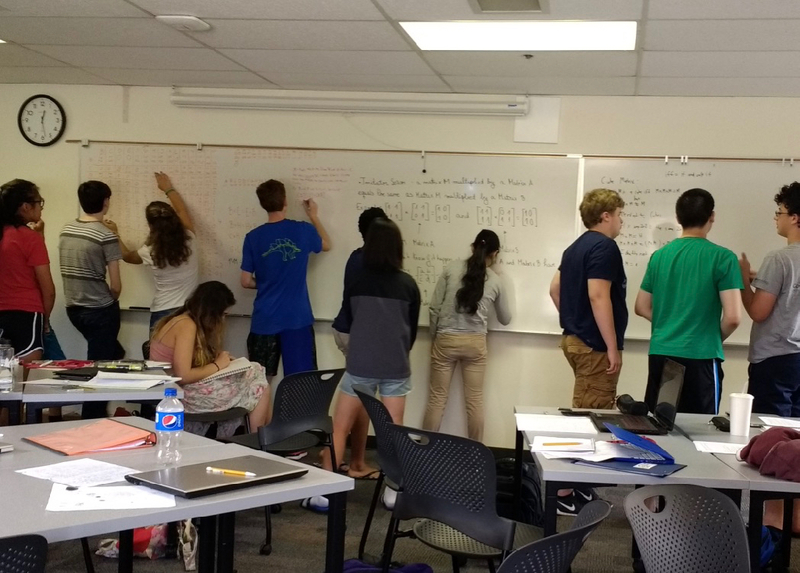 Just when you think you have reached your mathematical limits, you can head to the dormitories and challenge your brain with card games, board games, or even engage in communications with other mathematically motivated students. Mia Taylor: I knew that I was going to have fun when I came, but I was still surprised at how much fun I had. Stephen: I've met fun mathematics-oriented teenagers, which are quite scarce where I live, so this has been one of the most interesting experiences of my life! Clarissa X.: I felt that because the environment was very open and you were able to discover things on your own, I was able to look at concepts in a different way, and hence my problem solving abilities improved. Emma Y.: MathILy-Er is like a big family, and I'm so happy to be a part of it. Max E.: I can't believe it's already been 5 weeks and my time at MathILy-Er is over. During my time here I grew as a mathematician and as a person in so many ways. I had never experienced a teaching style like what we went through in Root and Branch class, but it was a style I thoroughly enjoyed and it really worked for me. Not only did the instructors expand my mathematical horizons, but outside of class they treated me as a peer, which is something I've never really experienced with adults before. Yuchen Fan: When I asked Jonah the first day when our lectures would be, he looked at me and said that he wouldn't ever lecture. At the time, I wasn't sure how he would lead a class and teach us without doing so, but he, like all of my teachers, has never done so. ...allowing us to discover and prove conjectures is definitely worthwhile, even if it does make me want to tear my hair out sometimes. Steven Santos: I've never called a teacher by their first name before so it was totally a new thing for me. It made me feel more welcomed than anything into the program... [My classmates] are the best group of people I have ever met in my life. They showed me that there are people that share a common interest with me in math and that I actually can have fun and make progress at the same time. There's no other group I'd rather be in. Cam Harrington: MathILy-Er has been a great experience for me. I am glad that I had the chance to meet everyone here. I have enjoyed learning about numerous topics like slinkys, SOZOMs, graph theory, staircase number, combinatorics and much more. The teachers here are gifted and truly furthered my knowledge in areas of mathematics I had not previously encountered. 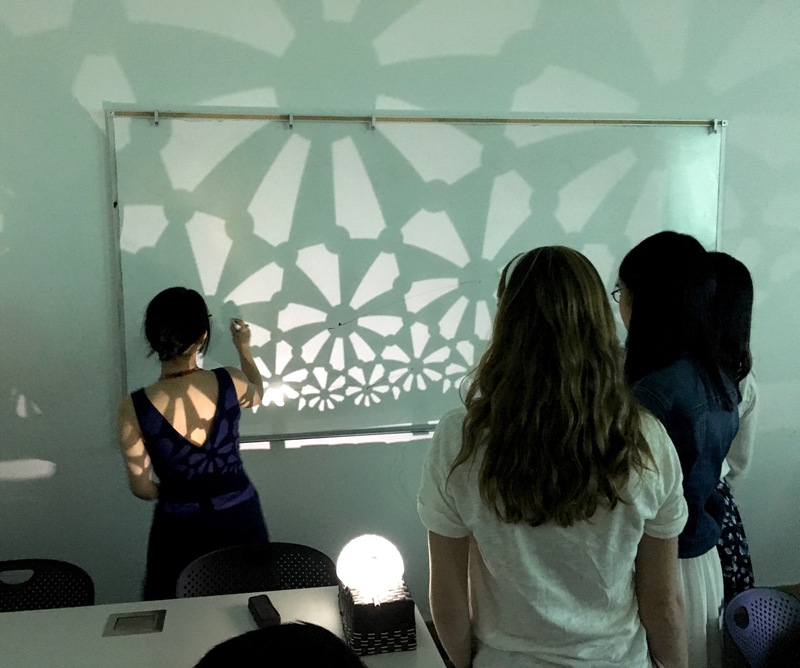 I was also amazed at the talent of the students who were adept at problem solving and were all very creative and approached problems in multiple ways... Classes here were not something I had been exposed to prior and it was a fascinating new way of learning. Andrew K.: I can't, no matter how hard I try, express how much I have enjoyed these past five weeks... I have learned more than I could have ever expected here, from donut-man generating functions and forbidden colorings to cake-cutting and balanced numbers. But what I'll treasure the most are the experiences I have had ...and I couldn't have hoped for a better summer.